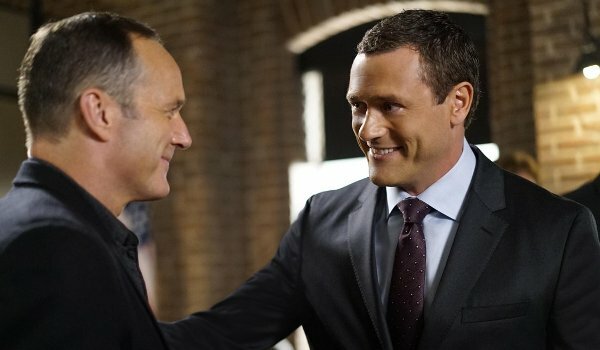 Continuing to lay the groundwork for later episodes, "Meet the New Boss" is most notable for introducing Jeffrey Mace (Jason O'Mara) as the new Director of S.H.I.E.L.D. Along with filling us in that the job could have been Coulson's if he wanted it, the latest episode also reveals a good working relationship between the two men (which could be tested in the next few weeks). While the government inspection of the S.H.I.E.L.D. facility provides most of the episode's humor, and allows Coulson to geek out when called up, it takes up quite a bit of air time without offering any immediate payoff (other than to suggest O'Mara's character is based on the comic character of the same name). In all three of the subplots the episode also feels like its dragging its feet (such as forcing the audience into waiting for the reveal of a character who we've never met) and perhaps spreading its story too thin with far too many small stories all occuring simultaneously. Daisy (Chloe Bennet) continues to antagonize Robbie Reyes (Gabriel Luna) without any clear goal in mind. May deteriorates after being exposed to the same strange ghost magic (well, what else are you going to call it?) which drove several others made. And the ghosts themselves begin to band together while the mention of the Darkhold seems to suggest Agents of S.H.I.E.L.D. is all-in with the supernatural this season. There are good pieces to this episode such as Mack's (Henry Simmons) reunion with Daisy, and the effects of Ghost Rider continue to impress, but much of it also feels like filler (especially after learning where the season apparently is headed with the introduction of the ghostish apparitions and the Darkhold). In the end you could easily skip the entire episode and likely not miss a beat of the overall arc. That's hardly must-see TV.